Peonia, peony in English is a flower that brings luck and makes marriages happy. It stands for love, peace and passion. 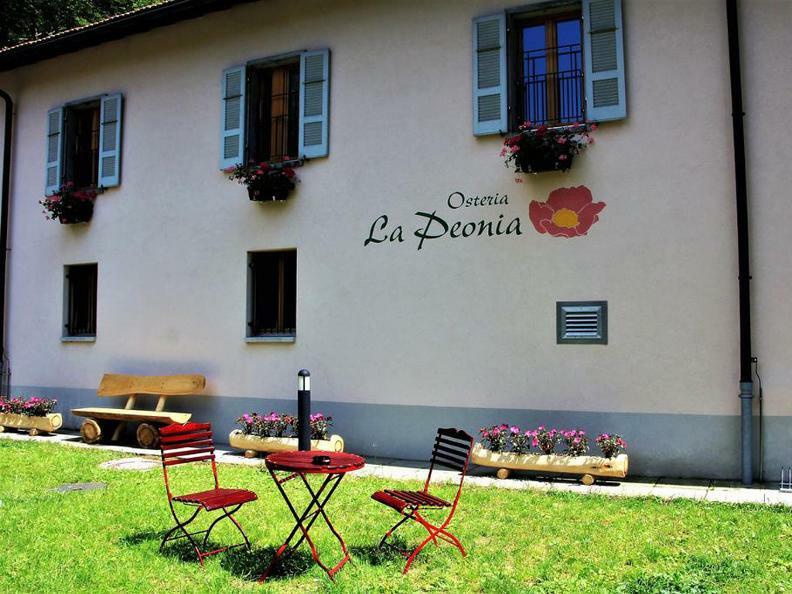 The inn (Osteria con alloggio) la Peonia cares for its guests and would like them to enjoy both peaceful nature and healthy food. From there you can go on several different hikes, suitable for families as well as more experienced hikers. Bikers can also enjoy a choice of tracks (pay parking facilities, 170 parking spaces). Milanka and Richi have decided to take up a new challenge in their lives and are ready to work together for a successful new Osteria con alloggio la Peonia. In a homelike atmosphere the inn offers good food and comfortable accommodation. It is possible to organize events and offsite meetings. Breakfast includes: local bread, butter, jam and warm drinks. Any other requests will be paid separately. Families with kids will appreciate the wonderful playground surrounding the building. The equipment is mostly made of wood, coming from the nearby trees.